Mazda's MazdaSpeed 3 is a legendary hot hatch among enthusiasts. It's combination of great handling and turbo pull made it a fun vehicle while it lasted. Mazda ended the MazdaSpeed3 when the prior generation of the Mazda3 came to market and the turbocharged engine went away. However, the new Mazda line includes a great new turbocharged engine with 310 lb-ft of torque and great power. The engine has now been installed in the Mazda CX-9, Mazda6, and for 2019 is being offered on two trims of the CX-5, Mazda's top-selling vehicle. Since the engine is no larger than the base 2.5-liter engine that Mazda now uses in the Mazda3, there seems to be no reason it could not be used in the new 2019 Mazda3. One big addition to the new 2019 Mazda3 is all-wheel drive. This is a key element in the possible development of a new MazdaSpeed 3. In prior MazdaSpeed 3s, the torque of the engine was limited by Mazda so that wheelspin would be manageable since the car was front wheel drive. 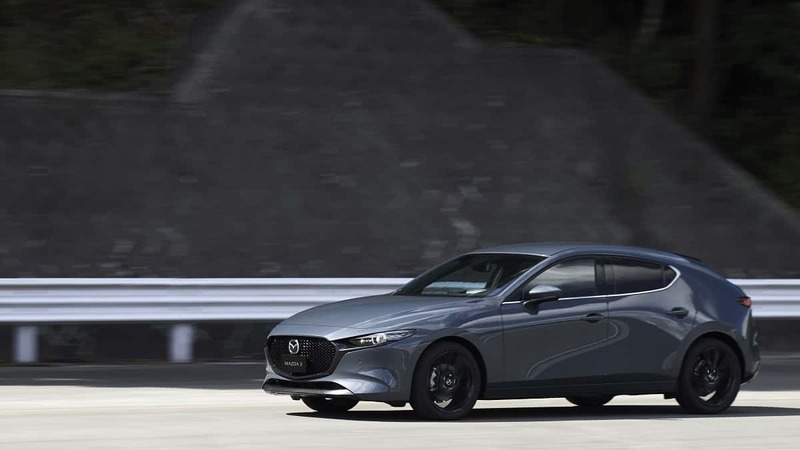 With Mazda's new all-wheel drive system, Mazda would be able to put a lot more power down and the car could well be the quickest in its affordable hot-hatch class with the AWD and turbocharger combination. Mazda's new Mazda3 with AWD will be available for about $30K. Adding in another $2K to add the turbocharged engine, and maybe $1K in sportier suspension parts would make it possible for Mazda to create a hot hatch that is unrivaled in the industry right now at a price point affordable to most. That would be awesome...however I think just earlier this month mazda said they weren't going to do it. I agree that they should build a new MazdaSpeed 3 because it would be relatively straightforward to drop in the turbo drivetrain, especially considering that the new AWD could put the extra power to the ground, rather than causing spinning, torque-steer issues. Plus considering that Honda has had great response to their new Civic Type R, and other competitors are rising to the challenge, it is time that Mazda gets back in the game of Hot Hatches to remind buyers that they still offer Zoom Zoom. Mazda: listen to author John Goreham, and produce the turbocharged hot hatch, and I'll purchase my first Mazda. Make my Mazda3 hot hatch in the color of Titanium Flash Mica – ASAP.